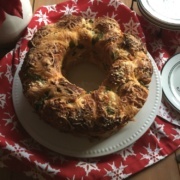 I have been compensated by Immaculate Baking for this Monkey Bread recipe and post; however, I am sharing my own thoughts. All opinions are my own. 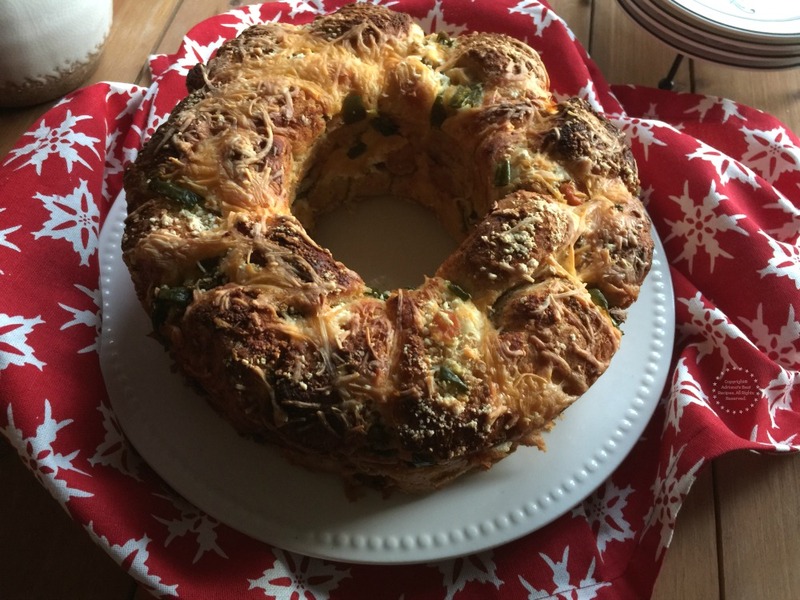 Monkey bread is very common as a breakfast offering and normally is a sweet treat, but today I am proposing a twist using savory ingredients like Cotija cheese, Mexican spices and jalapeños for a savory glorious treat! To make this bread I headed out to Whole Foods where I found Immaculate Baking Organic Crescent Rolls.And you can save $1 on one Immaculate Baking item too. 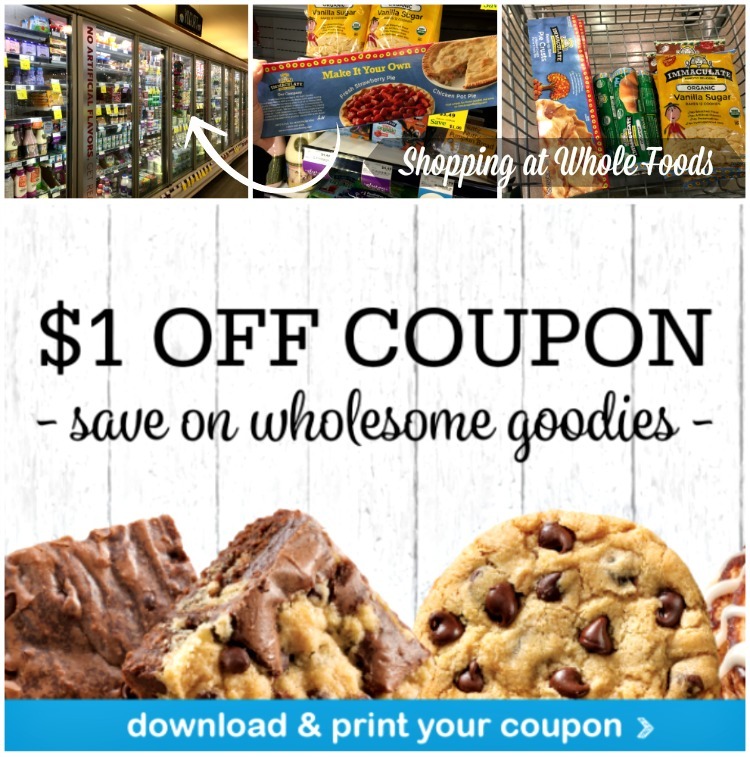 Download the coupon here. A must have ingredient for baking this amazing Monkey Bread Mexican Style. 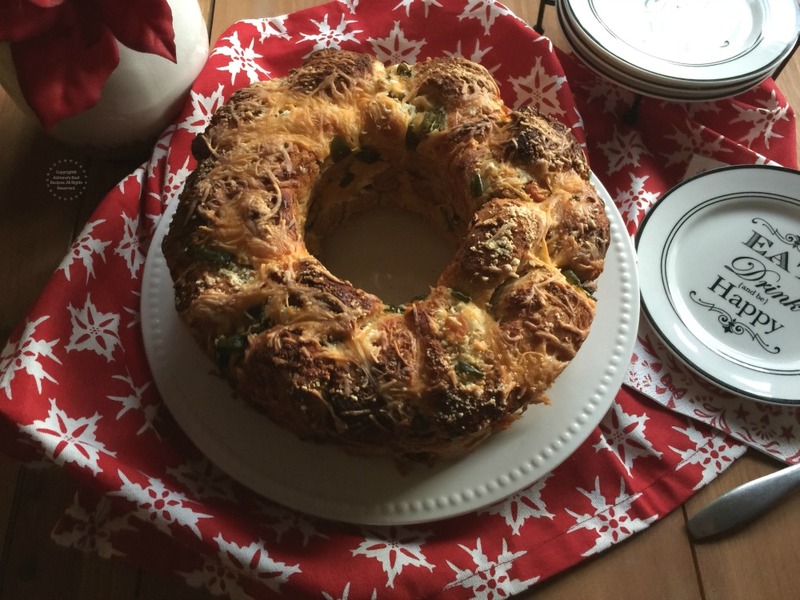 That not only is beautiful but so flavorful and a wonderful addition to your holiday menu. Immaculate Baking Company’s mission is to create wholesome baking products many of which are certified gluten-free or organic. Same as me you can get creative with your own original recipes, using Immaculate Baking Co. products as the base. Find recipe inspiration here! 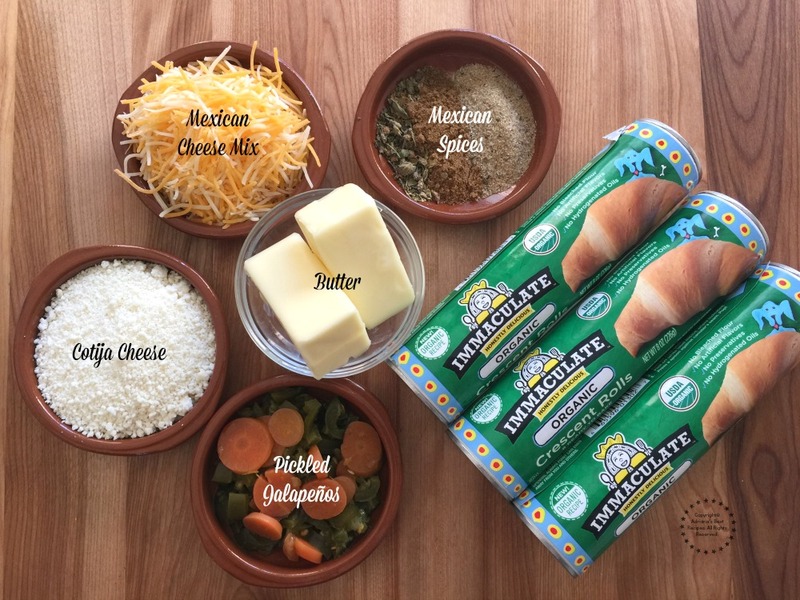 Immaculate Baking also has ready to use pie crust, perfect for picadillo and chicken mole savory pies that are served during this holiday season too. As well as cookie dough to please the tastebuds of the kids and the kids at heart. 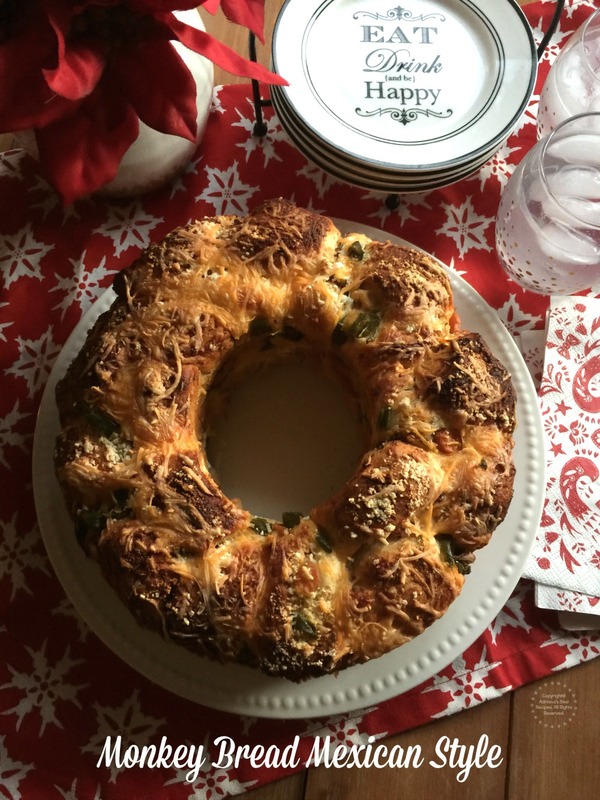 In my holiday table bread is a must have. As Mexican and latina we have bread in a very high esteem and it is always present in our meals. Using American cuisine favorites and add something different with my Mexican flavors to wow my guests is something that I like to do when hosting parties at home. The Immaculate Baking Organic Crescent Rolls are soft and rise perfectly to make a beautiful savory Monkey Bread that will grab everyones attention this upcoming Christmas day. 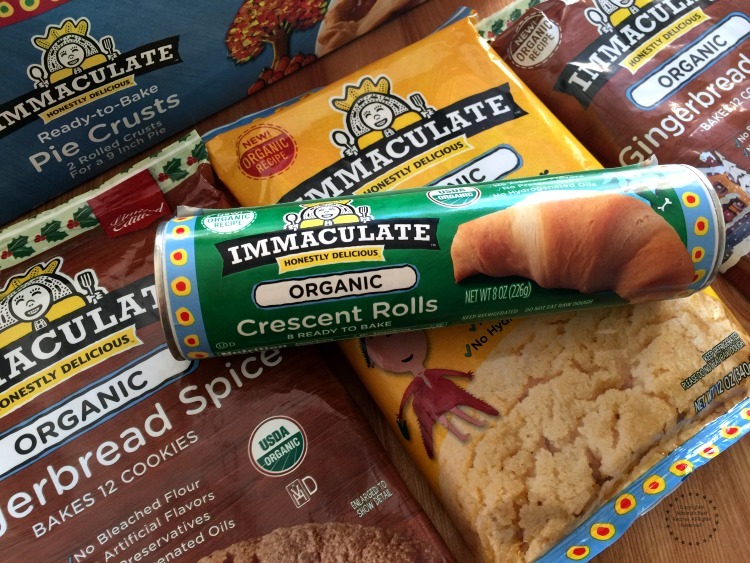 Open the Immaculate Baking Organic Crescent Rolls and cut in chunks, set aside. Melt the butter and season with the spices. Grease a round mold and dust with grated Cotija cheese. Soak each chunk of the crescent dough in the flavored butter and place inside the cake mold. Add the cheese, then the chopped jalapeños and repeat the process adding another layer. Bake the monkey bread inside the oven set at 375 degrees Fahrenheit for 20 minutes until golden brown. Take the bread out of the mold and set in a nice platter. Eat warm. This recipe is very simple to make. Invite your kids to join you in the kitchen and be part of the holiday baking cheer. With products like Immaculate Baking it is easy and hassle free to bake delicious treats! You’ve sold me. I’m so much more of a savory person than a sweet person. The monkey bread that is usually made with cinnamon and sugars looks GREAT but I feel like there’s that icky feeling when you eat too much of something that is too sweet. This looks like I could probably sit down and do some damage. Eat the whole thing in one sitting! I bought some cojita cheese after my time in Honduras and have been using it in place of parmesan. I tried using it to make a dip I’d eaten in Honduras but i don’t think that was the right cheese. Cotija is a good replacement for parmesan used mostly as a garnish not for dips. Cotija is a savory cheese to add flavor sprinkling on top of beans, sauces and other dishes. It is like a condiment as this cheese is salty and aged for that purpose. Yum! I’ve been into bread making lately but I have yet to try a savoury one. This is a wonderful recipe to try! And the crescent rolls make it so convenient. WE make money bread every single Christmas morning. I love this recipe idea though. Maybe we will do this, this year. Very honored if you make this recipe for your family table. I’ve never had monkey bread, so I’m not even sure how to judge the way this should taste. It does sound delicious. Typically monkey bread is made with cinnamon, sugar and butter. I decided to make the same idea but savory. This my family devoured. If you like cheese bread you’ll love this too. I’m definitely into those flavors and the hint of spice. I think this version of monkey bread would be a lot of fun! As you know I love to add my staple to dishes and this one has my Mexican cuisine flavors. Thanks for yoru kind comments. Whole Foods is one of my favorite places to shop. It’s the only store that carries a lot of the products I like to use. This looks and sounds so amazing! I love the idea of doing something more savory in a traditionally sweet dish! I love to mix it up!